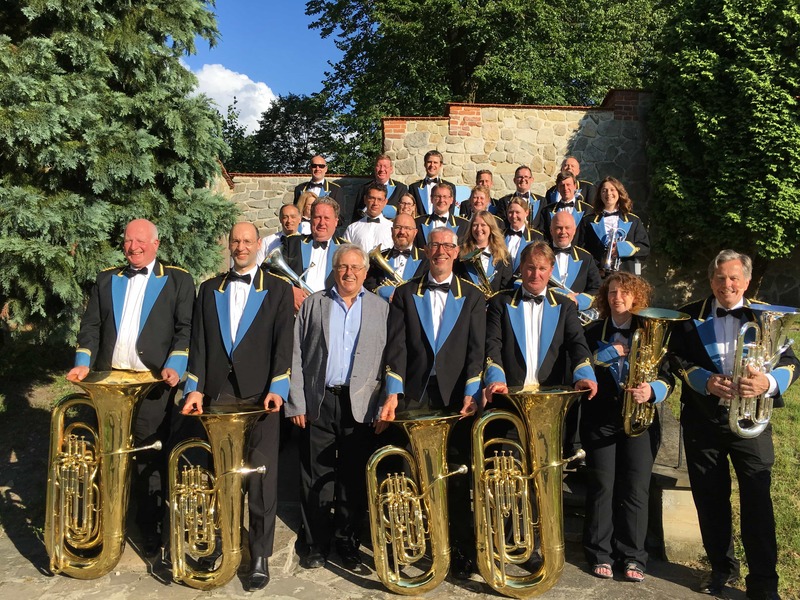 2 Towns, 3 performances, 4 standing ovations, 2,500 miles… Regent Brass were happy to accept the invitation by the Summer Trumpet Academy in Kolbuszowa, Poland for the 2nd year to visit and perform. With 2 dedicated members of the bass team (well, 1 bass and one bass trombone – same thing, right?) on a mission over land with a van full of instruments and a plane of brass musicians, Regent Brass departed the United Kingdom and made haste to Poland. 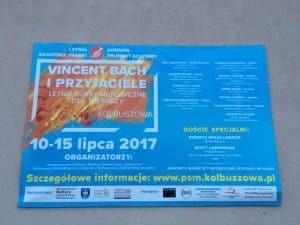 The Summer Trumpet Academy is organised by the Association for Social Development “Colbusovia” in collaboration with the National School of Music, Kolbuszowa and English Brass Academy. The Regent Brass Musical Director, Paul Archibald, is one of the tutors and the band was glad to join him towards the end of the week. 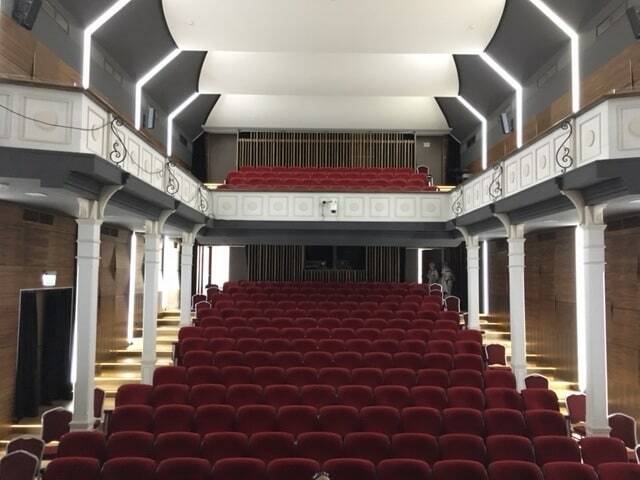 Arriving on a Thursday afternoon in Rzeszów, travelling to our accommodation and then heading to an evening rehearsal certainly made for a few weary sounds – but spirits were high nonetheless! 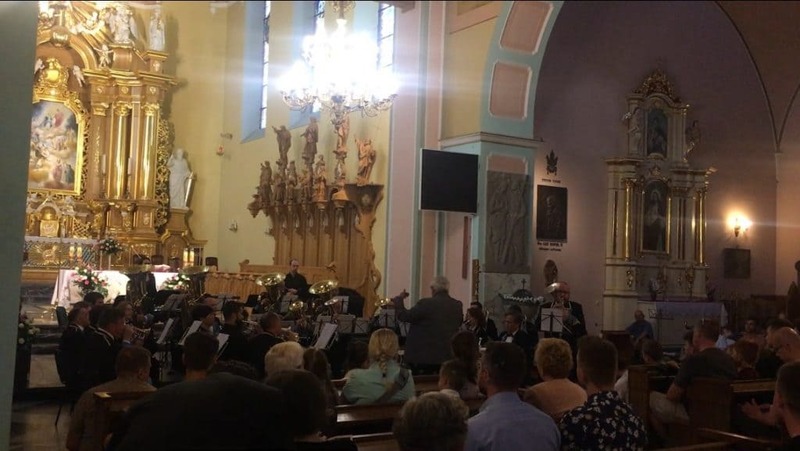 Friday evening was the band’s first performance in the beautiful Catholic Church of All Saints. Featuring groups from the Trumpet Academy as well as a full programme from Regent Brass, it must be said that the acoustic was as generous as the audience in a venue built for brass. The set featured Eric Ball’s ‘Kingdom Triumphant’, ‘Variations on a Ninth’ by Gilbert Vinter and beautiful solo performances by our guests, Martin Smith on Euphonium and Murray Borthwick on Tenor Horn (‘Demelza’, High Nash). As a finale the trumpet tutors join Regent Brass on stage for a performance of Richard Strauss’ ‘Festmusik der Stadt Wien’ which was still ringing around the wonderful venue as the audience leapt to their feet with rapturous applause. Such an excellent concert and reception was cause for celebration back at the hotel and Regent celebrated in the tradition brass band manner… at the bar (though not too much with another performance scheduled for Saturday of course). The Summer Trumpet Academy drew to a close on Saturday afternoon and Regent Brass were pleased to be able to play a few pieces during the closing ceremony. A more relaxed setting in the school where the students had been for the week and with friends & family present, Regent played some lighter music including ‘Blenheim Flourishes’ (James Curnow) and ‘Cortège from Mlada’ (Rimsky-Korsakov) amongst others. With no performances scheduled for that evening the band hopped on a coach and headed for Kraków to take in some sights and local culture. Of course with a coach full of brass players it was inevitable that most went to see the famous St Mary’s Trumpet Call (Hejnał Mariacki)! airport for a late flight back to London! This is the second year the Regent Brass has been to Kolbuszowa & the surrounding area and the band is very appreciative to all who play a part in welcoming and hosting us. Special thanks to the Trumpet Academy, our guest performers and the staff at Hotel Dworek.